This is adapted from remarks I made in Kiev this week at the launch of a report into the unsolved killing of the journalist Pavel Sheremet. It means literally that — forcing their silence through death. Fortunately journalists around the world have a sense of fellow feeling. If you kill one of us it is a matter of respect — self-respect; and respect to our colleague; and to the job we do — to make as much noise as we can. That’s all we can do. And that’s what we’ve been doing in Kiev, with a delegation from the CPJ. Making as much noise as we can.We hope Ukrainian journalists will do the same. Ukraine has, in some respects, had a generally record for independent media. We know that. We know that the country lives in troubled times. But it is not ok to blow up a journalist in broad daylight in a capital city. And it’s not ok to fail to find out who did it. 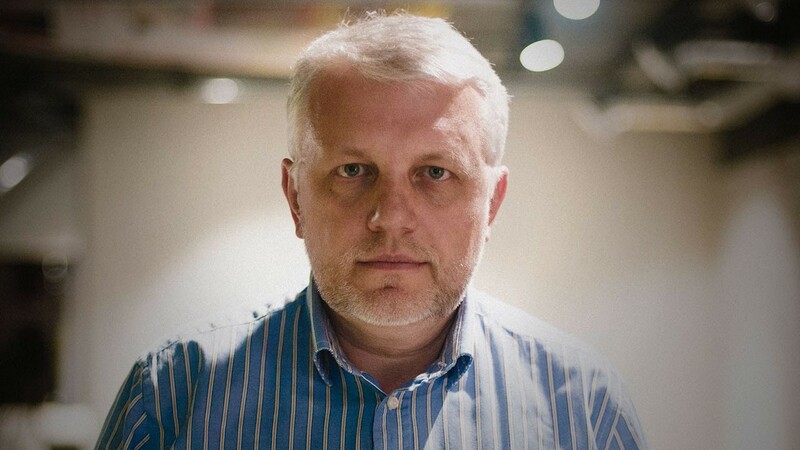 We would raise the case of any journalist thus murdered But, as it happens, Pavel Sheremet represented the best of journalism. He was tough, courageous, knowledgeable, warm, compassionate and unflinching. We don’t yet know who killed him. We understand the complexities of uncovering his killers. But we are here to say that it really matters that they are found. Societies can’t progress, or learn, or improve, or develop, without facts — without knowing what is true and what isn’t. Journalists are not the only people who can help us establish facts. But journalists are — at their best — remarkably good at it. Journalism — we know — is threatened by the digital revolution and some urgent, yet-to-be worked out questions about the economic model for news. But now is the moment to defend, cherish, protect and celebrate the people and organisations who bring us facts, sometimes in the face of great personal danger. The second reason it really matters is that, when you kill a journalist and no-one is caught, it creates fear. Perhaps that is what the killers wanted. We have seen fear in Kiev this week. Journalists — brave journalists — quietly admitting they are now censoring themselves. Not doing this story or asking those questions. They do not understand why Pavel was killed. Perhaps it could be them next? As outsiders, you wouldn’t want that in Kenya — though it is happening there too. And surely you don’t want it here in the Ukraine — a country with such a potentially strong and vibrant future. I, too, know the sting of that question After publishing the Edward Snowden revelations in the Guardian I was asked — in parliament — if I loved my country.The implication was that I was betraying Britain by writing about the collection by the state of our personal data on a previously unimaginable scale. My reply was that the reason I loved my country was because it allowed free speech. Shouldn’t the same true be in Ukraine? That its tradition of independent media is something that helps define who Ukrainians are. Isn’t this something to defend and be proud of ? Journalists — if the word means anything — have to remain independent of everyone. Especially of the state. They cannot allow the government of the day to define the public interest. And this applies even in times of conflict or war. Perhaps especially in times of conflict or war. The Guardian vehemently repudiated the British invasion of Suez in 1956. It was denounced, it lost advertising and readers. But history now says it was right. There are innumerable such examples through history. We are here in Kiev because the law agencies have, after a year, failed to find the killers of a truly independent journalist. Someone who did understand what the role of the journalist was in society. But there are two bright lights in the story. One is the remarkable film, Killing Pavel. Pavel’s former friends and colleagues honoured him by investigating his death — and what a remarkable job they made of it. That film spurred the investigation authorities into new actions and cast some doubt on the thoroughness of the official inquiries. Whoever killed Pavel tried to silence journalism — and journalists refused to be silenced. They respond to the killers with more journalism. They used journalism against the killers. How truly inspiring. I wish I could bottle what they are doing and take it back to London and other places where some people have lost sight of the raw power of — and need for — serious journalism of integrity. So there is hope. There is, a year on, sadness, There is frustration. There is celebration. It is, it seems to me, a time for Ukrainian journalists to unite over this cause. I am sure there are many things that divide them. But this thing must surely unite us all. Who killed Pavel Sheremet? We need to know. Ukraine — if it is to become the country it wants to be — needs to know. The world needs to know.